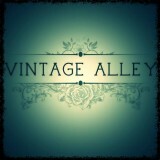 We stock 40s, 50s, Rockabilly, PinUp, Punk, Goth, Kitsch & Alternative clothing and accessories, both new & vintage. We have over 15 years experience in choosing the best subcultural items. Shop now! Vicious Venus is passionate about empowering women of all ages to enhance their own natural beauty with the best of vintage styling.